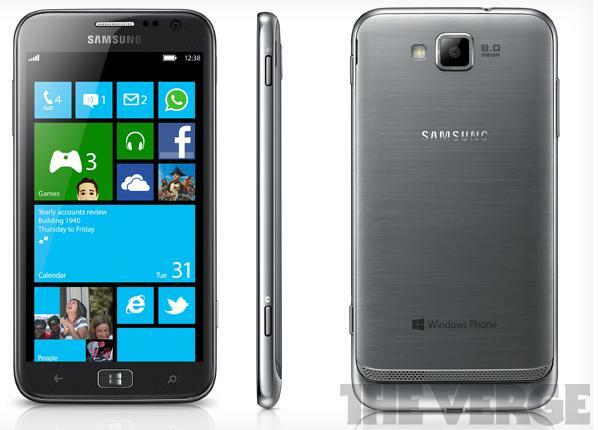 First PocketNow with Galaxy Note II leaked and now The Verge citing its sources familiar with the company’s plans reporting that the company today at its press conference event, which is just an hour away will launch a 4.8-inch ATIV S Windows Phone 8 device. The device will feature a 1.5GHz dual-core processor, 4.8-inch HD Super AMOLED Display, an 8-megapixel rear camera, and 1.9-megapixel forward facing camera. We are expecting a lot more coming today from Samsung’s side, so stay tuned with us and we will provide you minute-by-minute IFA 2012 news. Plus, for all IFA 2012 news, you can click here.